In Shell Beach, native grasses and red bougainvillea bloom on the oceanfront bluffs. Shell Beach: What makes this area the perfect spot for a summer vacation? Great weather and a relatively laid-back atmosphere. Further north, coastal fog can be a problem, and in some areas to the south, beach resorts are packed in cheek-to-jowl. 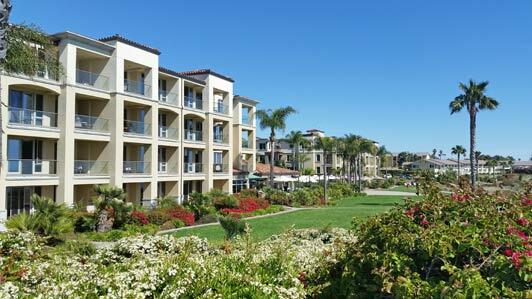 But Shell Beach, which is the upmarket resort area of Pismo Beach, feels quiet and secluded. 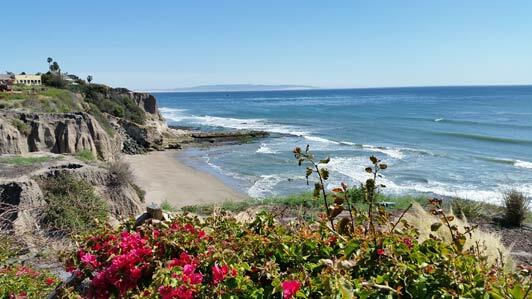 Shell Beach is located midway between San Diego and San Francisco and less than 90 minutes north of Santa Barbara. It’s near US 101, but the area around the hotels is residential, which makes it a primo place to relax without the noise and commercial activity of more densely populated areas. Even the beaches – small scenic coves that disappear at high tide – feel private and pristine. Dolphin Bay Resort offers a heated pool, free use of beach cruisers, and a full-service spa. In Shell Beach, three hotels are set on a flat clifftop that follows the curving coast. Native grasses and red bougainvillea bloom on this bluff, enhancing the uninterrupted ocean view. My first choice is Dolphin Bay Resort & Spa, which offers 60 spacious one- and two-bedroom suites with full kitchens and nicely-furnished living and dining rooms. The hotel also has a good restaurant, a heated infinity-edge pool, a hot tub, free use of beach cruisers, and a full-service spa. 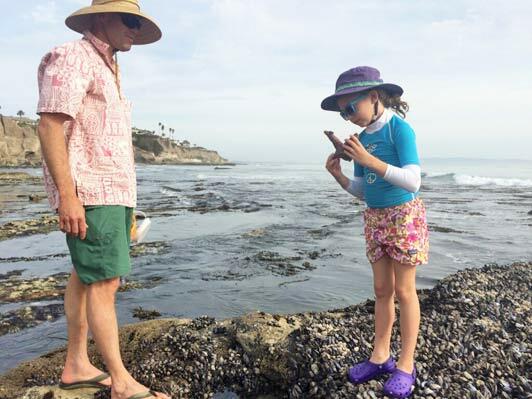 The small cove beaches in Shell Beach are perfect for tidepooling. I have to confess that on our last visit, I chose a suite right next to the spa so I could wander back and forth with ease. In the course of several days, I treated myself to the ultimate in Shell Beach bliss: a deep tissue massage, a great facial, and a hot stone treatment. I also spent a fair amount of time just enjoying the ocean view, and our whole family had fun tide pooling. If you’re going to do this, you’ll need a tide chart and an old pair of shoes or some reef walkers. Access to the cove beach right in front of Dolphin Bay is via 92 stairs – and the reward (at low tide) is a plethora of sea life. The Harford Wharf remains a popular place for commercial and recreational fishing. Walk with a view? Options include the clifftop Shell Beach Bluffs Coastal Trail that leads to Pirate’s Cove, a swimsuit optional beach, and the Bob Jones Trail, a nearly six-mile paved path that winds through forested Avila Valley alongside San Luis Obispo Creek. The Bob Jones Trail ends in Avila Beach, where three long piers extend over the Pacific. My favorite is the Harford Pier, built in 1873 by John Harford to handle shipping commerce before the rail line was extended to San Luis Obispo. In the beginning, horse-drawn buggies arrived at the Harford Pier. Today, the old wooden wharf is an atmospheric Central Coast landmark that is open to cars and other vehicles – and it’s still used for recreational and commercial fishing. 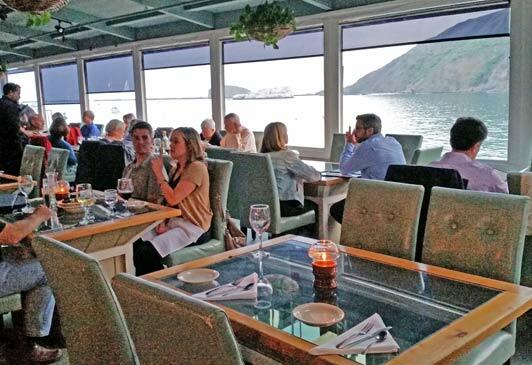 At the Olde Port Inn, glass top tables allow underwater viewing during meals. Two restaurants and a seafood market are located on Harford Pier. The newest is Mersea’s, a lively café that opened a few months ago. 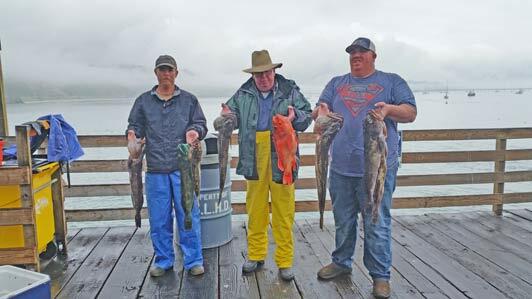 Specialties here include clam chowder, fish and chips, and craft brew on tap – but in this location, the food is secondary to the overwater setting, the adorable décor, and the views. Portholes in the floor enable seal watching, and gray whales are often sighted from the deck. Until Mersea’s opened, the Olde Port Inn was my go-to dining spot in this area, and I still like it for multi-course meals. Located at the end of the pier, it offers an expansive water view, and glass-top tables make it possible to watch for marine life under the wharf. The last time we were there, BJ’s Live Seafood next door to the restaurant had live crabs for sale. 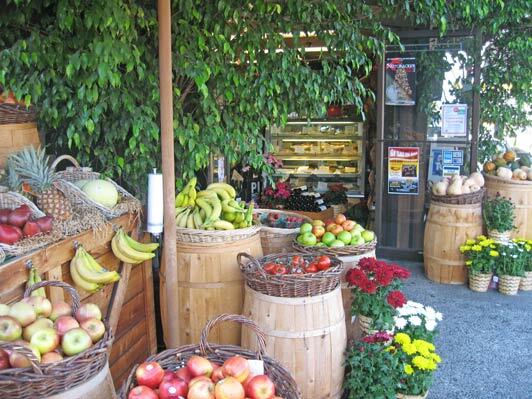 DePalo & Sons is my favorite deli and gourmet grocery on the California coast. In addition to these Avila Beach options, the Lido Restaurant at Dolphin Bay offers all meals daily and an ocean view. In addition, DePalo & Sons – just a block from the hotel – is my very favorite deli and gourmet grocery along the entire California coast. Even when I’m not overnighting in Shell Beach, I pick up their terrific chicken Caesar salad and enjoy it in nearby Spyglass Park. The only thing better than a quick picnic in this park, is picking up takeaway and enjoying it around the pool at Dolphin Bay. Spyglass Park in Shell Beach is a great picnic spot just off Highway 101.